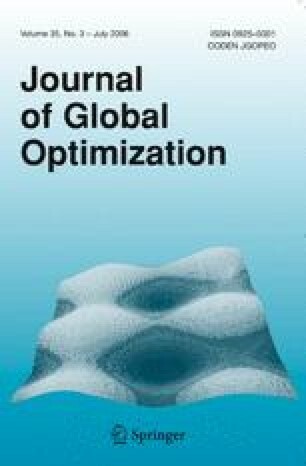 The paper is devoted to the convergence properties of finite-difference local descent algorithms in global optimization problems with a special γ-convex structure. It is assumed that the objective function can be closely approximated by some smooth convex function. Stability properties of the perturbed gradient descent and coordinate descent methods are investigated. Basing on this results some global optimization properties of finite-difference local descent algorithms, in particular, coordinate descent method, are discovered. These properties are not inherent in methods using exact gradients. The paper was presented at the II. IIASA-Workshop on Global Optimization, Sopron (Hungary), December 9–14, 1990.